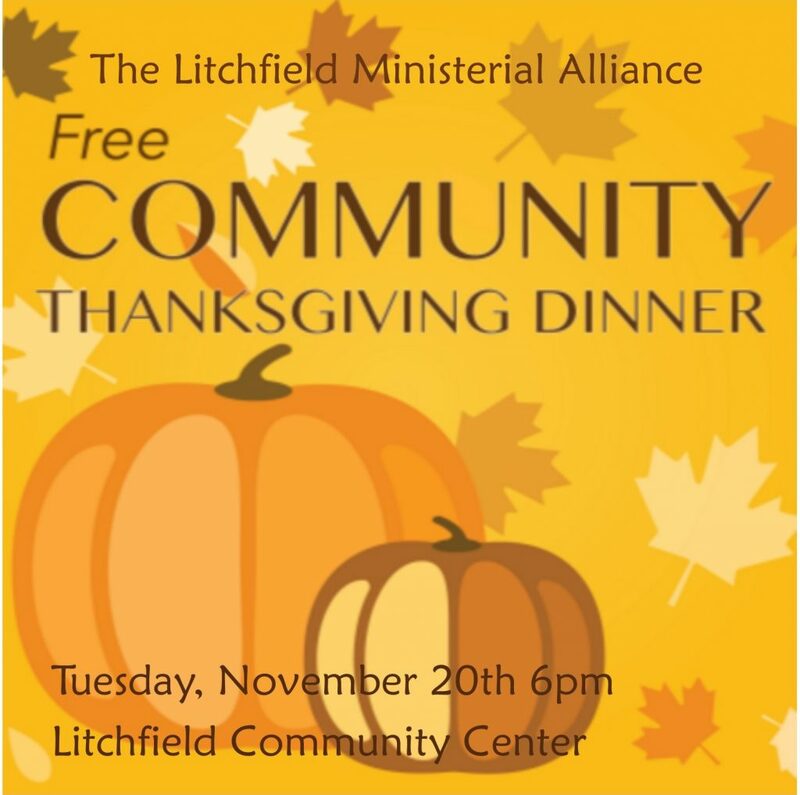 You are invited to join the Litchfield Ministerial Alliance for our Annual Community Thanksgiving Meal. Doors open at 5:30pm, food served at 6:00pm. All are welcome!